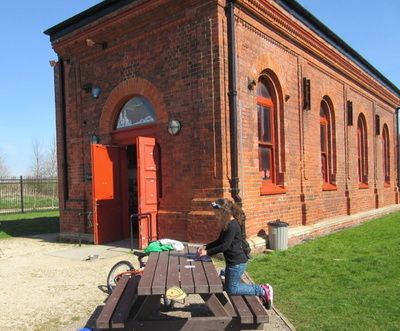 This building is a former electrical sub-station serving the colliery. 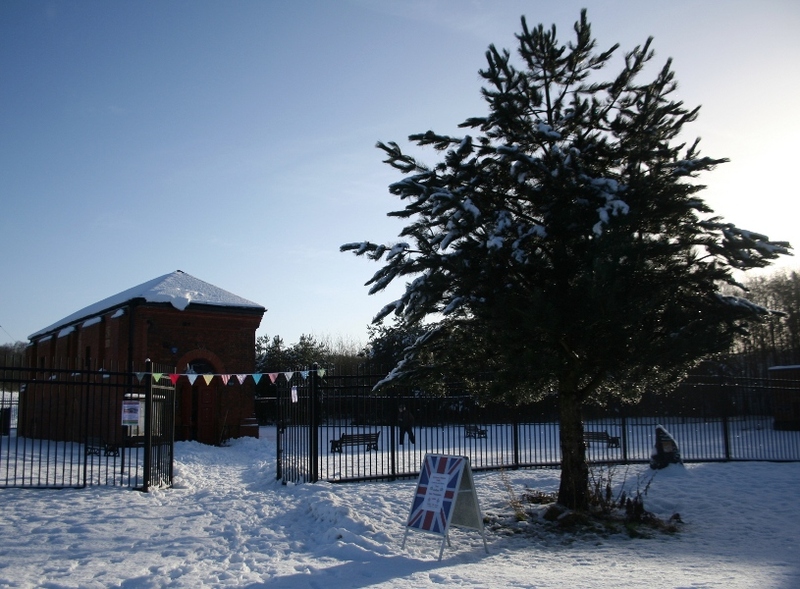 The internal equipment was removed and the building restored to be used as a community space. It is often the focal point for events happening in the park. There are display boards in the Dynamo House explaining the history of the park, village and colliery along with a cabinet of relevant items such as a Davy lamp and a miner's snap tin. The Dynamo House is the venue for community workshops such as the "Spring into Bestwood" events held there at the end of March and on 12 & 13 April back in 2013. 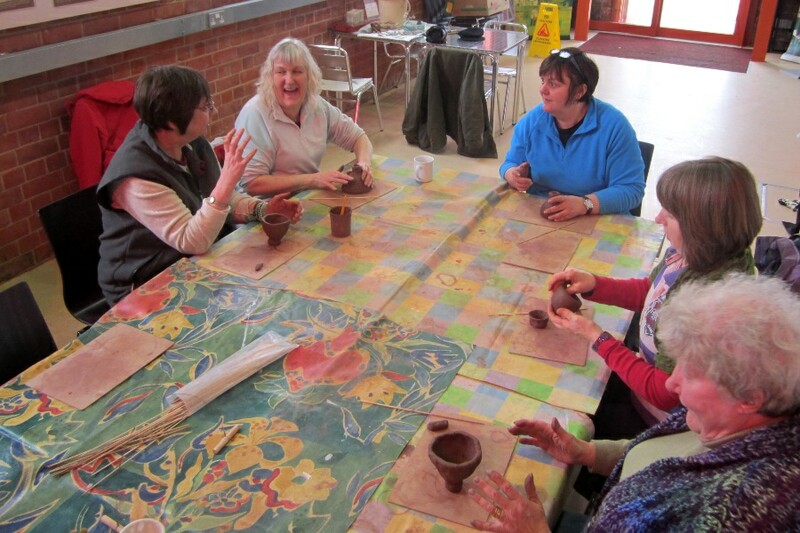 Community groups took part in workshops making clay flowers which, after firing, were displayed at the Dynamo House during the two open paper craft workshops. Look out for other similar events taking place here. The Dynamo House offers toilet facilities (including baby changing table) on days it is open. Since recently becoming the office base of the Nottinghamshire Country Council Heritage Officer the likelihood of finding it open have increased but are not guaranteed outside the Saturday morning café opening hours. 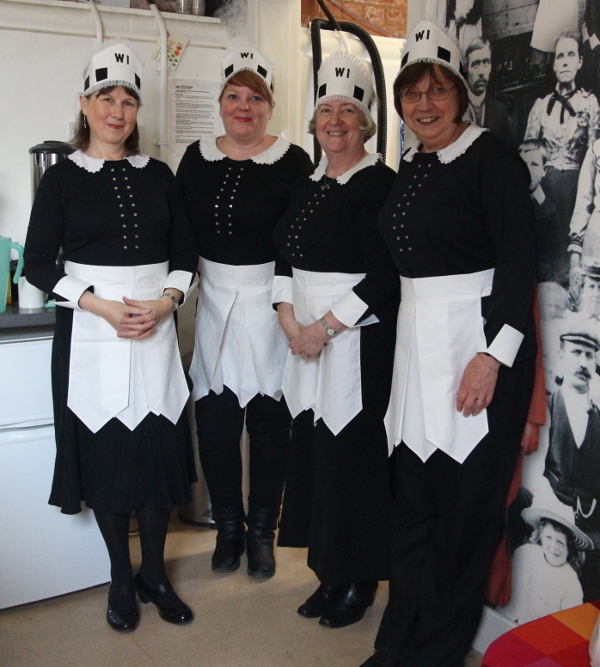 The Dynamo House Café opens every Saturday morning from 10am to 1pm and on special occasions such as Bank Holidays. It is run by volunteers from the FOBCP, the Bestwood Village WI, Bestwood Village Vision and anyone else who wishes to bake or serve. Councillor Chris Barnfather helped this community enterprise raise its game in 2013 with a donation from his discretionary fund to buy some new equipment, including a great filter-coffee maker and some cake display domes - not that the home-baked cakes last long enough to go stale! The café welcomes well behaved doggies and usually has free dog treats available at the counter to keep our furry friends bringing you back for more. The room can be hired for events and makes a great classroom, workshop or activity space. For further information contact Sue McDonald on 0115 975 3782. Below are a few shots of the Dynamo House but there are more in the gallery.